Dota 6.81b Map & Changelogs Released! DotA 6.81b Download - Official Dota 6.81b Map. At last, IceFrog finally released the DotA 6.81b for Warcraft 3. He goes directly from DotA 6.80c straight to DotA 6.81b and skip the DotA 6.81. As we know, the DotA 6.81b Patch already revealed in the Dota 2 on June. 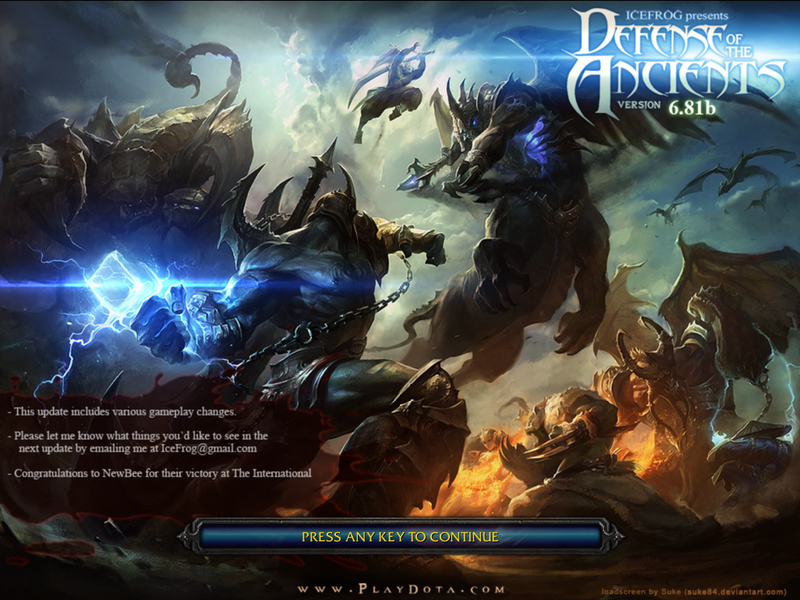 And now, the Warcraft DotA players also can play it! This patch solely focused on buffing unpopular heroes and nerf some overpowered heroes. However, Sun Wukong also still not available in this version. Let's hope IceFrog introduces him very soon! Check out the changelogs and download link below! Note: Your friend playing DotA 6.81b before you? Subscribe our feed or follow our Twitter, Facebook or Google Plus so you won't miss the next map! Update: DotA 6.81c has just released to fix some bugs in this version! Download it here!